There are now more travel route options for some journeys in town or city centres. If you think about it you could get to places quicker than using a car. Electric bikes are becoming more and more popular in cities. Electric bikes are great for getting about, an excellent choice for commuting and more importantly they are really good fun. To gather momentum is one of the challenges of conventional cycling. With an ebike you can often accelerate faster than the cars and instantly flow with the traffic. This would actually be considered safer than using a normal push bike on the roads. For many people, hill climbing seems to be the main obstacle of riding a bike. This will no longer be the case with an electric bike. With minimal effort you can glide up those steep roads without having to drop down gears and pedal furiously. Equally for the more fitness minded people out there its not cheating, you can still pedal as hard and as fast as you wish! They have fallen in love with cycling again. E-bikes are now their main mode of transport. They have more leisure time because e-bikes cut commuting and travel times dramatically. More people feel fitter and healthier then they did before life with an e-bike. They have more spare money to play with due to the fact they don’t need to pay road tax, insurance or constantly put fuel in the car. Feel like your missing out? 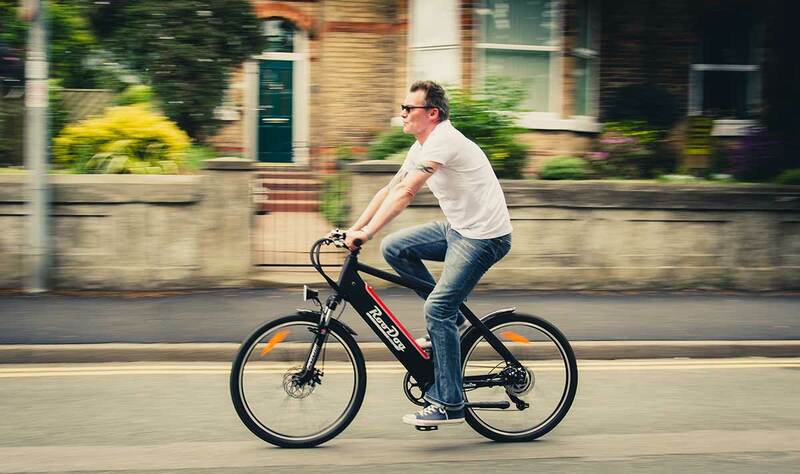 Could you get your very own RooDog e-bike through a cycle to work scheme?